Announcing the launch of Our Seas, Our Legacy, a documentary collective celebrating Singapore's marine environment and biodiversity through visual storytelling. Join 21 year-old Nathaniel Soon as he shares about his passion for the oceans and how he uses visual storytelling as a means of advocacy through his journey with marine conservation here in Singapore! In conjunction with International Year of the Reef 2018, he will be launching his documentary series, Our Seas, Our Legacy, which will offer a first-hand glimpse into the good everyday Singaporeans are doing towards conserving our marine environments. This documentary was supported by the Celebrating Singapore Shores internship and Seastainable Co. Check out Singapore Eco-Film Festival 2018 and register at: https://sgeff2018-festival-pass.peatix.com/! Contact ourseas.ourlegacy@gmail.com for more details! Visit https://www.sgeff.com/workshops/ for event info! Our Seas, Our Legacy is a documentary collective celebrating Singapore's marine environment and biodiversity through visual storytelling. Our Seas, Our Legacy is the brainchild of 21 year-old Nathaniel Soon. A certified Divemaster with Scuba Schools International (SSI), he has spent considerable time diving around Asia and working with local marine conservation efforts. He is no scientist, hardly has his own functioning camera (and any money) and just started his first-year at college, but he absolutely loves telling stories and sees it as an effective means of advocacy. 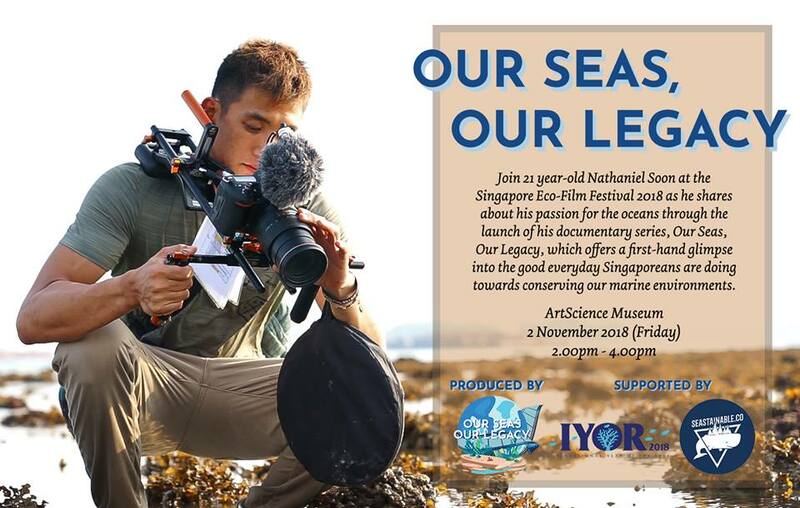 So, inspired to share about Singapore's marine biodiversity and educate Singaporeans about urgent environmental issues through visual storytelling, he founded the documentary collective and hopes to continue growing it. As part of the International Year of the Reef 2018, he has launched a monthly series looking at the good Singaporeans are doing towards conserving our oceans. 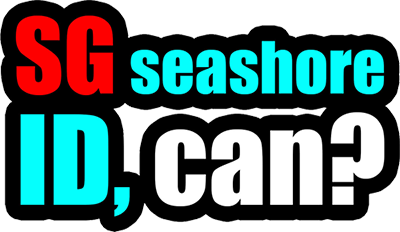 Follow him as he discover our lesser-known shores, explore our diverse reefs and learn about what we as ordinary individuals can do for our seas for generations to come.